The former Great Northern Paper Co. paper mill in East Millinocket as it appeared on Thursday, Sept. 25, 2014. A Maine Sunday Telegram investigation found most of a $40 million investment in the now shuttered Great Northern Paper mill in East Millinocket was returned the same day to investors who are receiving $16 million in payments from Maine’s General Fund over seven years. The newspaper reported that neither the $31.8 million loan or $8.2 million in equity investment that was the basis for two investors receiving certificates for state tax credits actually paid for improvements to the mill that shut down in January 2014, laying off about 212 of its 256 workers. Great Northern filed for bankruptcy later in 2014, listing more than 1,000 creditors. The newspaper reported documents provided to the board of directors for the Finance Authority of Maine at the time of the investment deal signed in 2012 show that the $31.8 million in loans arranged by investors Enhanced Capital New Market Development Fund X LLC and Stonehenge Community Development LXI were returned to the company the same day. But first, the money passed through the hands of entities managed by the Portsmouth, New Hampshire-based Cate Street Capital. The report found the loan arranged by the investors was given to the now bankrupt GNP Maine Holdings, managed by Cate Street, which later that day purchased papermaking equipment from another affiliated company, GNP East. The money was then returned to the investors on the same day through another Cate Street entity, called GNP NMTC Finance Co.
That acronym, NMTC, refers to the state’s New Markets Tax Credits program, through which both investors will continue to receive their tax credits from the state. Legislators in Augusta are considering a bill to raise a limit of $250 million to $500 million for the program, which has also been used by projects such as the St. Croix Tissue project in Baileyville. For the East Millinocket deal, the newspaper found about $7 million of a related $8.2 million equity investment went to pay off high-interest debt held by GNP, and about $1 million of that deal value went to pay brokerage fees back to the investors. That money and the $31.8 million returned to the investors served as the basis for the $16 million in tax credits, or 39 percent of the investment, to be given to the investors over seven years. Christopher Roney, the attorney for the Finance Authority of Maine, confirmed in an email to the Bangor Daily News in March that, following GNP’s bankruptcy, both investors will continue to receive payments toward the $16 million in tax credits through 2019, despite getting back another portion of their investment through GNP’s bankruptcy. During the bankruptcy, both entities claimed $20 million in secured debt through mortgages inked Dec. 27, 2012, the day the deal closed. Roney wrote in March that the law outlining the state investment incentive program requires at least 85 percent of the investment to go toward a business in a designated low-income community. Each investor received less than $1 million through the bankruptcy sale, Roney wrote, making for a total investment that still clears the 85 percent threshold. If the bankruptcy had returned more money to both investors, they could be required by law to reinvest that money in another qualifying company in Maine. Both investment firms were involved in lobbying for the New Markets Tax Credits program in Maine and the Cate Street deal was the first under that program, modeled after a federal counterpart. George Gervais, commissioner of the state’s Department for Economic and Community Development, said at the time that Cate Street’s investment resulted in about $40 million in wages paid over the almost two years it operated the mill. 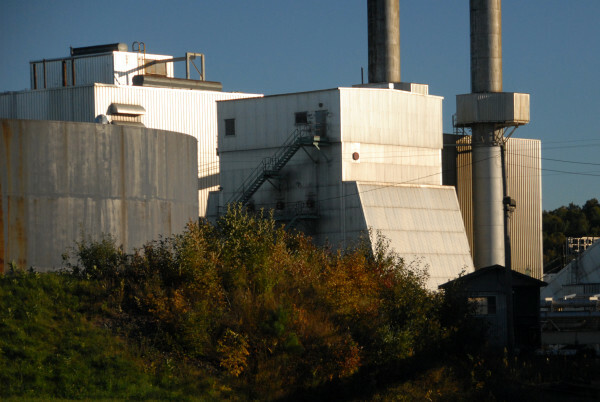 Hackman Capital, who bought the mill in a bankruptcy auction for $5.4 million, in March said they stopped marketing it to paper makers and will seek to repurpose the site for other uses to serve the forest products industry. They have sold off the East Millinocket mill’s paper making equipment to other paper producers. Cate Street in June 2014 auctioned off the No. 11 paper machine from its mill in Millinocket in part to settle a $2.24 million property tax debt with the town.